SafeDay, Inc. is pleased to provide these useful resources. 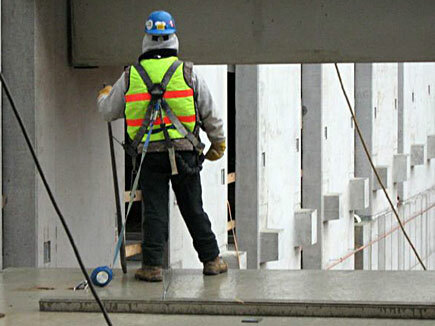 Click here to visit North Carolina OSHA's website. Click here to visit the Associated Builders & Contractors website. Click here to visit the South Carolina OSHA website. Click here to visit the the Federal OSHA website. Click here to visit the Virginia OSHA website. On September 15, 2010 I had the good fortune to attend a training session entitled, Supported Scaffold Competent Person Safety Workshop. The training was hosted by Associated Scaffolding in it's Durham,NC facility. The training was provided by SafeDay, Inc. Occupational Safety Consultants. I am 65 years old and a graduate of the Federal Bureau of Investigation National Academy and many thousands of hours of other training in my first career. I am now in my forth year of my new career as Safety Director for Kjellstrom & Lee Construction in Richmond, VA. I list my classroom experience to indicate I have the ability to accurately access the value of a given training session as well as the skill of the instructor. During this session Scott, the instructor, exercised great skill in the areas of holding the attention of the thirty attendees. He has a great deal of knowledge on the subject, his examples and class participation was excellent and the hands on training was very beneficial. As I have noted, I am very familiar with assessing the value of a training class and I highly recommend this class for anyone who uses, erects or manages any scaffold situation.